With thousands of visitors to the site every day, Ask Dave Taylor requires some pretty hefty hosting capabilities and I’ve been happy with Synthesis Hosting for a long while. But it costs money, and what better way to offset the costs of a site than by having adverts on the site too? 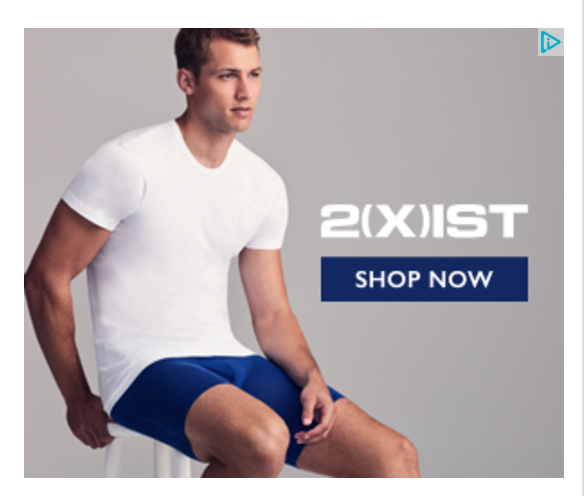 I know, some ads can be annoying or intrusive, but that’s a balance, design and targeting issue. Dedicating a 250×300 box on your pages for sponsors or advertisers is certainly easy enough and can be quite unintrusive. Plus, remember, if the advertisers are a good match, users will find it generally interesting and beneficial anyway. If you’re like most website owners, however, you’re already sold on the benefits of adding ads to your pages. The challenge is getting it all to work, setting prices appropriately and making sure that you can maximize your per-visitor revenue. That’s where the ad network AdClerks and its OneClerk ad sales system comes in, offering a simple, elegant ad management system that makes it a breeze to add that ad block – or two! – to your pages and manage it all on the back end. Pick your category carefully and definitely spend some time crafting an engaging, keyword rich description here too. Handy tip too: Your site should have already been switched over to all-SSL so your Website URL should hopefully be “https://“. 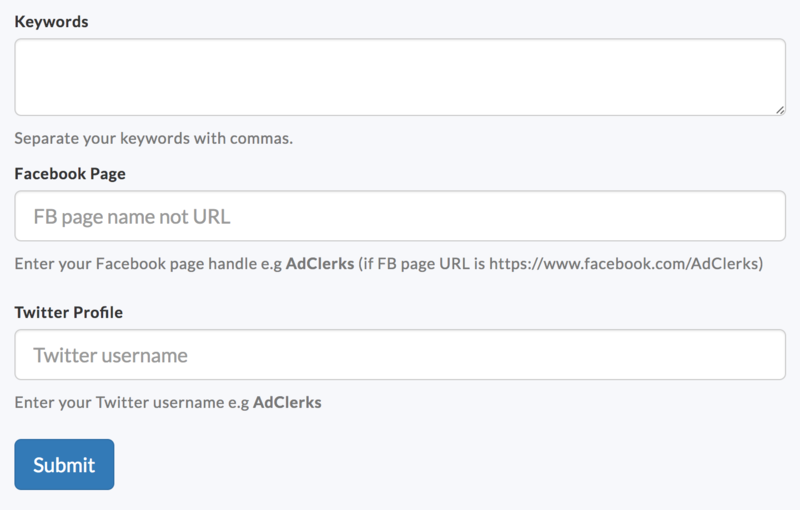 Don’t yet have a Facebook page associated with your Web site? Don’t like and therefore don’t use Twitter? Now’s the time to change that! Remember, an advertiser is wanting to ascertain that you’re an interesting site that takes the business of Web publishing seriously. So get ’em lined up. For me, I’d enter askdavetaylor for the Facebook Page name since my Facebook page URL is http://www.facebook.com/askdavetaylor and DaveTaylor as my Twitter username since my Twitter handle is @DaveTaylor. Make sense? Notice the “No Ad Slots” and the more important “Click here to setup”. I recommend setting up ad block names that are descriptive of where you’ll be placing the ad block. Makes things a lot easier down the road, and remember, advertisers care a lot about “above the fold” or “below the fold” (which indicates if the site visitor will need to scroll to see the ad or not). 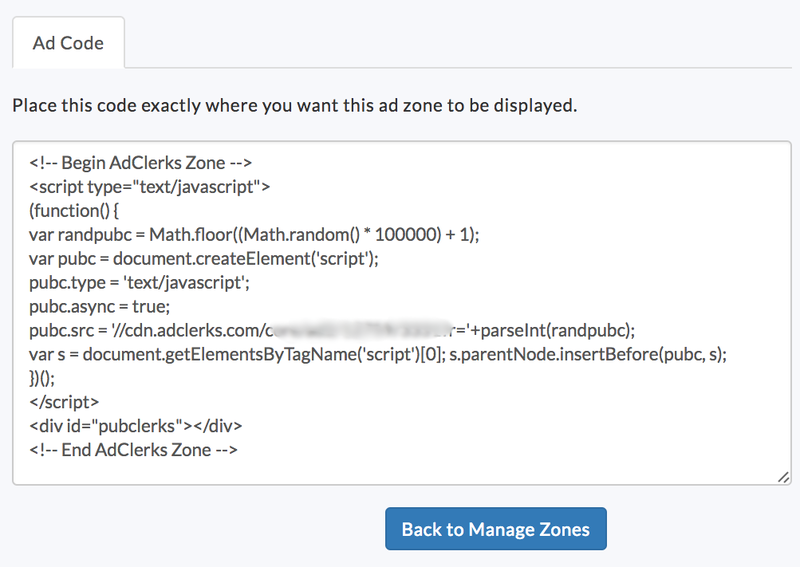 AdClerks.com supports a variety of ad sizes, but 300 x 250 is a common box ad and works best with their bidding system. As a bonus, it’s also one of the most lucrative both on AdClerks and networks like Google AdSense. But we’ll get back to AdSense shortly! I recommend pricing yourself at just a smidge above the average. It’s a signal to advertisers that you’re a premium site and will deliver premium content. Ain’t nothing wrong with that. 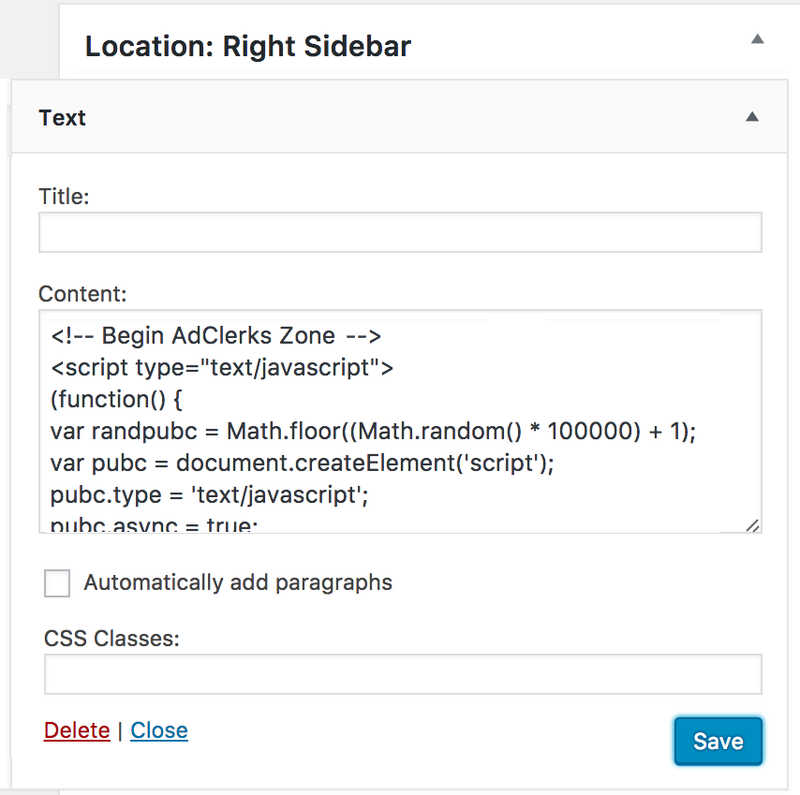 The Backfill box is important because it specifies what to show if AdClerks.com can’t sell your ad space, something that will certainly be true at the very beginning, even if you’re super popular and will sell out all available inventory within a few days. We’ll come back to Backfill in a moment or two. Ah, oops. That’s what I was talking about earlier: Since you haven’t sold any ads through AdClerks yet, it’s an empty box. Now I save the changes, reload the page on my own site and success! 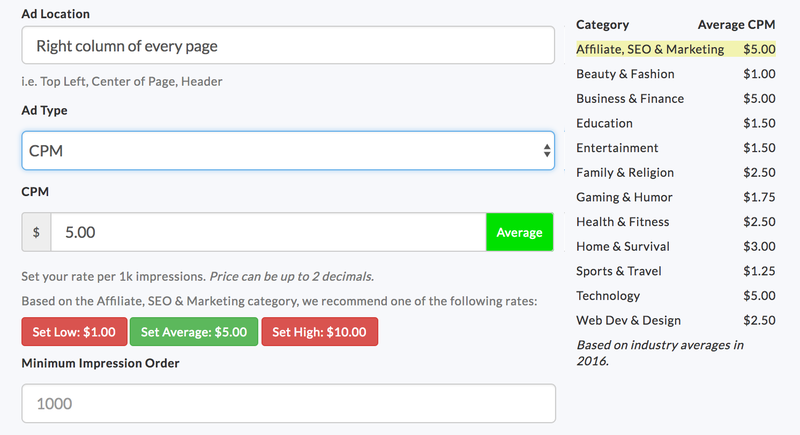 To be more precise, OneClerk offers “dynamic CPM rates ranging from $0.25-$1.25 with an 80% fill rate”. That’s how it’s done. Easy enough and now that everything’s set up, my ad block will show AdSense ads just like before and when an advertiser comes along in the AdClerks system and offers the CPM rate I’ve set, those ads will take precedent and show up. Magically and without me having to do anything at all. You can learn more about AdClerks and sign up all on their Web site. Of course. 🙂 AdClerks.com. Disclaimer: AdClerks sponsored this post, but if you look at the ad block just below the YouTube video embed on the right, it’s running AdClerks code live. 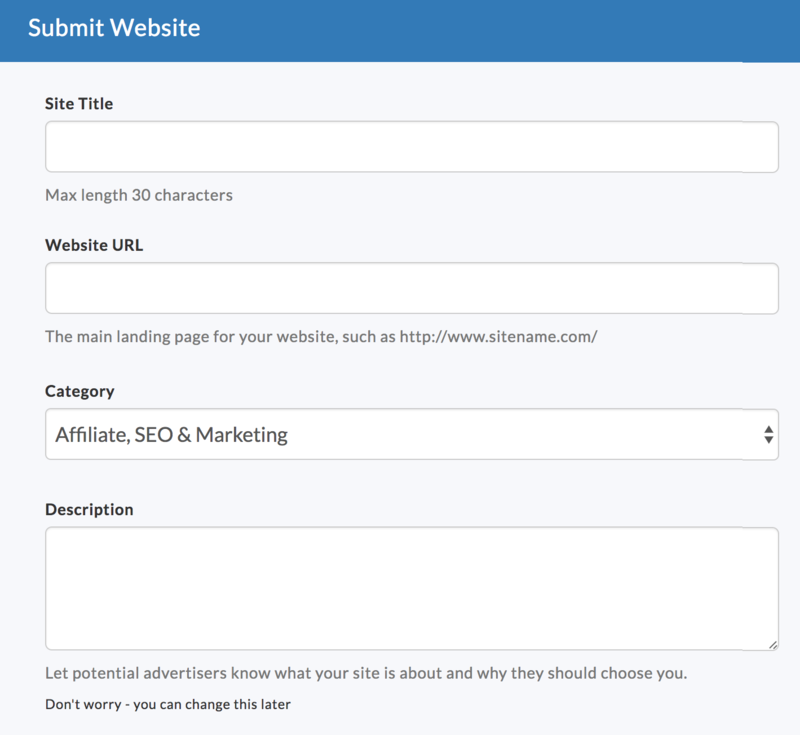 Easy enough, and a smart way to increase site revenue. A win, for sure.